This is the story of several unmarried ladies in Box at the time of the First World War. They had all enjoyed a wealthy, privileged life as children but, as they were in junior branches of families, they had limited financial resources. Two of the women, Theodora Louisa Duff Galton and Hilda Ernestine Galton, only lived in Box for a few years. The third, author and diarist, Mary Deane, made friends with them and recorded their meetings as neighbours living in the Ley. The last of the ladies, Ruth and Audrey Peto, were dynamic, young women, whose family lived at Iford Manor, Bradford-on-Avon. This is Vic French's article about these ladies and their lives with thanks to Patricia Whalley and her book about Mary Deane's Diary. Whilst researching my family history I came across Theodora Louisa Duff Galton who arrived in the UK from Kingston, Jamaica in 1916. On the travel documents she was known by her middle name Louisa (by which I shall call her) and her address was given as Kingsmoor, Box. She seems to have lived in Box from about March 1916 until her death on 14 November 1920. The probate register described her as being late of Kingsmoor, Box in the County of Wiltshire. She was buried in Box Cemetery. 2 housemaids, a laundry maid, a kitchen maid, a scullery maid, a dairy maid, 3 ladies’ maids, a head nurse, a nursemaid and, also on census night 1871, the valet of Robert Duff, MP, brother of Louisa's mother who happened to be visiting at the time. Louisa's name, Theodora, is the female version of the name Theodore meaning God gives Light and may possibly have been adopted to celebrate one of her forebears. It occurs in her ancestry on both sides of the family. On her mother’s side, her three-times great grandfather was Theodore Morison, the 3rd Laird of Bognie, an estate in the parish of Forgue, Aberdeenshire. On her father’s side, her uncle was Theodore Howard Galton, and one of her father’s uncles was also Theodore Galton. The Duff name reflected her maternal grandfather, Arthur Abercromby, the natural son of Colonel Robert William Duff of Fetteresso in Kincardineshire. Her grandfather had assumed the Abercromby name on inheriting the estates of Glassaugh in the parish of Fordyce in Banffshire through his maternal line. The Galton family had many prestigious contacts. Louisa's great grandfather, Samuel John Galton, Junior, FRS (1753 - 1832), and his wife, Mary Barclay, were Quakers. Samuel was a member of the famous Lunar Society which met at his home at Great Barr Hall at the end of the 1700s. The Society had some of the most auspicious members in English history, including Josiah Wedgewood, Joseph Priestly, Matthew Boulton, Erasmus Darwin and James Watt, people who drove both the Georgian revolutions in industry and religion. the belief that selective breeding could improve populations. Hadzor House to Goldness House, about ten miles from Hadzor. It is not clear whether his family moved with him or stayed as part of the extended family at Hadzor House. When Louisa was almost two years old, her father married Augusta Brenton Stewart in Milverton, Warwickshire on 7 January 1873. In April of the following year Augusta gave birth to a daughter, Hilda Ernestine Galton, and the birth was registered in Bedminster, Somerset, so it seems that the family did not stay at Goldness House for very long. Louisa was five years old when her father died. The probate record states that he was late of 1 Bayshill Villas, Cheltenham, and that he died there on 31 May 1876. Seven months after his death his widow, Augusta Brenton Galton, had moved to 21 Dale Street, Leamington, Warwickshire to be close to her mothers and sisters. The value of her father’s effects was stated to be less than £7,000. Whilst we can be sure that Louisa lived in Kingsmoor, Box, in the years 1916 to 1920, it is entirely uncertain why she came and with whom. This article seeks answers to these questions, starting by exploring her family and friends. At the time of her father's death, most of Louisa’s siblings were considerably older than her and had left home. Her eldest brother, Arthur Howard Galton, was about 24 years old and living independently, and her eldest sister Margaret Galton aged 15 may have been abroad at the time. Another brother, Ralph Abercrombie Galton, was a living-in pupil for the Rector of Hadzor at Oddingley, Worcestershire. When their father died, the step-mother was left with four children to support at home aged from 14 to 2 years old including Louisa and her own daughter, Hilda. They were all recorded in the 1881 census living at 17 Warwick Place, Milverton, Warwickshire, a walk of just a few minutes from the Dale Street address the family had after their father’s death. Louisa’s eldest sister Margaret died in London just a few weeks before the date of the 1891 census. Throughout their lives this branch of the Galton family seems to have been largely itinerant, taking short term leases on properties. For a period immediately before 1890 the family had lived at 33 Dale Street, Leamington, which is just a few minutes away from their 1881 address at Warwick Place, and back close to their 1876 Dale Street address. Reading between the lines it looks as though the Dale Street addresses may have been temporary accommodations and that a short term lease may have been taken on the house in Warwick Place, which was immediately opposite Bertie Terrace where her Augusta’s mother and sisters were living. Louisa was brought up by her step-mother together with her step-sister Hilda who was three years younger. On 24 April 1890 Louisa’s 84 year-old step-grandmother Francis Isabella Stewart died. She had been living at 4 Bertie Terrace, Milverton an elegant Regency-style 3 storey residence with basements typical of the Upstairs – Downstairs image, and it seems that the property passed to Louisa’s step mother who is recorded at that address at the date of both the 1901 and 1911 censuses. Her step-mother died there in August 1912 at the age of 76. The terms of the will are not known, but probate was granted to Louisa’s half-sister Hilda Ernestine Galton, spinster. Three years later, on 15 November 1915, Miss Theodora LD Galton, aged 44, was recorded departing from Avonmouth Docks, one of seventeen passengers travelling First Class aboard the Elders & Fyffes banana boat TSS Camito bound for Kingston, Jamaica. This ship had been launched on 17 April 1915 and was still quite new, although by November had probably already made half a dozen trips to the Caribbean. On 27 February 1916, having been away from England for just over 3 months, Louisa arrived back at Avonmouth aboard the Elders & Fyffes TSS Coronado. This was a sister ship to TSS Camito and built at about the same time. Louisa had boarded the ship at Kingston, Jamaica and in the passenger list her address in the UK was given as Kingsmoor, Box, Wiltshire, which was the reference that started my investigations. At this stage in my research I came across Pat Whalley's book of the contemporary diary of Mary Bathurst Deane who lived in the Ley, Box, further down the same road as Kingsmoor. Mary Deane was an author and artist and an aunt of P G Wodehouse, immortalized as Bertie Wooster’s Great Aunt Agatha, the nephew crusher. She had become good friends with a Miss Galton during the period that Louisa Galton was living at Kingsmoor. Mary entertained Miss Galton often, making notes about her visits in her diary, but almost invariably declines to give her Christian name. The earliest diary reference to dates from May 1915, over six months before Louisa Galton’s trip to Jamaica: Miss Galton and Miss Peto called. Nicely dressed and pleasant. I wonder if this was really Louisa Galton as she would have been 44 years-old at this time. Would Mary Deane make that sort of comment about a mature woman? On the other hand Mary Deane was 72 years-old herself at the time and this comment may have been in character for the nephew crusher. It is difficult to be certain who Miss Galton and Miss Peto were because of Mary Deane's formality of address. Two weeks earlier Miss Peto had been described in the diary as of the student variety. The most likely identities are either Ruth Sarah Maud Peto who was 30 years-old in 1915 or Audrey Elizabeth aged 21. The Peto family were wealthy and influential. Sir Samuel Morton Peto, was created Baronet Peto of Somerleyton Hall, Suffolk in 1855, for his work in building railways needed for the Crimean War. He was a Liberal politician, whose reputation later faltered with railway insolvencies. Two of his children settled at Iford Manor, Bradford-on-Avon, just eleven miles from Box. In 1899 the fifth son, Harold Ainsworth Peto, architect, re-designed the gardens there and, in the period 1910 to 1918, his seventh son, Sir Basil Edward Peto, served as Conservative Member of Parliament for Devizes. Ruth and Audrey were nieces to both these sons, their father being the second son, Morton Kelsall Peto. Ruth was a dedicated suffragette. We get some idea of her philosophy from the 1911 census record when she was a secondary school teacher and head of her own household living at Leamington with two adopted daughters: 16 year-old Maria Vasquez and 14 year-old Luscinda Vasquez, both Spanish subjects. Emblazoned across the form was the slogan Votes for Women. It seems likely that it was at this time that she met Hilda Galton and they became lifelong friends. Because of the ages of Ruth and Hilda Galton and their close association, it is possible that these are the ladies referred to by Mary Deane. We know that several members of the Galton family visited Kingsmoor after the family of Box brewer, Edwin Skeate Pinchin, left the property sometime between 1911 and 1915. The house seems to have become a centre for some of the Galton family and a memorial inscription was paid for in Box Cemetery for Louisa's father, Captain Herman Galton, who had died in 1876 and was buried at Hadzor, Capt father of Theodora Louisa Duff. Mary Deane refers to another member of the Galton family when she says: Invitation from Mrs Emily Galton. Mrs Emily Galton appears to be Emily Josephine Galton who was married to Major Hubert George Howard Galton JP, at that time owner of the estates of Hadzor House. It is probable that Emily was visiting her nieces, Lousia and Hilda. Some months later Mary Deane referred to a Galton sibling: Tea at Miss Galton’s to meet her sister Mrs Corbet. Mrs Corbet was Alice Mary Galton who had married Robert St John Corbet but, at the date of the diary entry, she had been a widow for over eight years. Perhaps significantly for Mary Deane, Mrs Corbet’s late husband was himself an author of poetry, plays, and novels, publishing at least three multi-volume titles plus some children’s books prior to their marriage. Unfortunately this still doesn't distinguish Miss Galton's identity. Mary Deane makes repeated references to adopted children living with Misses Galton and Peto, such as: Miss Galton and Miss Peto came in with a lovely frizzy headed baby, their last adoption! Have let use of orchard to Misses P and G for gratis. Later Mary says: Misses Galton and Peto with the 3 adopted children and almost two years later: To Church for Holy Communion. Miss Galton & Miss Peto there with a bevy of infants. Mary Deane also recorded visits to older members of the Peto and Galton families: Called at Ardgay on Mrs Peto. In 1911 the house was occupied by Arthur Penfold Ballard, an American citizen from Salt Lake City, the son of a Kent banker, who had married Louisa Woodgate, the only daughter of Captain Woodgate RN of Ardgay at a very quiet wedding in 1897. Presumably Mrs Peto was a visitor with the family. This interpretation is reinforced by a later entry when Mary Deane says: To tea with Mrs Peto at Ditteridge House. It would appear that Mrs Peto was then visiting Colonel Cyril Brook Northey, a close family friend of Mary, and the younger son of Box's lord of the manor. The repeated references in the diary to Misses Galton and Peto makes it plain that these two ladies were very close. There is a suggestion that they lived together in a visit that Mary made in July 1915: Went to ask Miss G and Miss P to coffee but they are still in quarantine. They seem to be a single entity in later references: Miss Galton & Miss Peto to tea. They are going to Oxford for 6 months. Several times they are included together: Dined with Misses G & P very dull on account of the very German-French governess and: Miss Galton & Miss Peto to tea. Talk over drastic economy. They are doing all their own cooking. Get flour and meal from Northumberland. Asked me to tea Sat and to share The Times with them - good. The identification of Misses Galton and Peto as a single unit strongly suggests that they shared the same house. Who Were Miss Galton and Miss Peto? Mary Deane and Misses Galton and Peto were clearly very friendly and relaxed about having informal visits as neighbours. The elderly Mary seems to have enjoyed the modernity of their familiarity but can't bring herself to use their Christian names: Miss Galton’s after tea, with paper. The children running about bare legged in jumpers, seaside costume. Later: Three little mites from Miss Galton's “family” came with the daily paper exchange. I gave them cherries. It is difficult to identify the people absolutely because of Mary Deane's formality of address even on informal occasions: Miss Peto with Michael, he to confess and be forgiven, having thrown my key out of the perambulator! scene very comic, a tiny hankie out for falling tears. Clearly a formal address was the way that Mary thought of the Misses Peto and Galton. There is an important clue to the identity of Miss Galton in the diary entries of 1915 to 1916. We know that on 15 November 1915 Louisa left England bound for Kingston, Jamaica. She did not return until 27 February 1916 away for just over three months, arriving back at Bristol Docks, when the passenger list gave her address in England as Kingsmoor, Box. However, Mary Deane records various meetings with Miss Galton during this period, such as on 1 February 1916: Into village, met Miss Galton. Miss Galton cannot have been Louisa Galton. Mary occasionally uses a Christian name for a Peto woman: Deep snow everywhere! Audrey Peto came with the Times, she is "on the land" and was in costume, useful and picturesque brief brown skirt, coat, and high leggings, cap. She and Barbara going tobogganing. But then the next day: To tea with Misses Galton & Peto. Later she changes back: Audrey Peto came in clad in mackintosh, she is learning to be a carter ! This does seem to indicate that she was using the different titles to identify different people. This was hinted at when Mary writes: Miss Peto and sister came in the evening talking over their plans. Audrey Peto joined in the war effort, at first training to be a landgirl, the name of the Women's Land Army, organised by the Board of Agriculture who started activities in 1915. One goal was to attract middle-class women who would act as models for patriotic engagement in non-traditional duties. It is difficult to see this person as having time to look after several orphan children referred to the day after the tobogganing entry: To tea with Misses Galton and Peto. Four small adopted children in white frocks, playing with clever little cut paper swans etc. After the death of her sister, Louisa, in 1920, Hilda decided to move to Italy and was recorded at the age of 48 as one of 22 passengers departing from Southampton on 25 July 1922 aboard the Nederland Royal Mail Line ship Koningin der Nederlanden (Queen of the Netherlands), bound for Genoa, travelling first class. The sailing manifest also indicated that Italy was her intended country of permanent residence. She was one of three first class passengers travelling to Genoa and intending to reside there. She was emigrating and in October the contents of Kingsmoor were put up for sale: Charles W Oatley has received instructions from Miss Galton (who has gone abroad) and the whole furniture of the house was advertised, dining room chairs and table, walnut china cabinet, beds, cots, kitchen and garden furniture. This appears to be the person referred to as Miss Galton in Mary's diary. The next record that I have found was dated 28 July 1926 when Miss H Galton and Miss RSM Peto were among a party of eleven women and children arriving at the Port of London from Marseilles, France aboard the Katori Maru, a Japanese ship inbound to London from Yokohama via Gibraltar & Marseilles. The residence of the party was given as Platt Cottage, Wrotham, Kent, which I subsequently discovered was the home of Louisa and Hilda’s sister Alice (Mrs Corbet of Mary Deane’s Diary, who had subsequently married a sea captain Francis Fox in 1920 and five years later had been widowed for a second time). In the years prior to her death Hilda made her home in Cricklewood, North West London, apparently sharing a home with Ruth Peto. They both lived at the same address, 292 Willesden Lane, in 1936. At the outbreak of the Second World War, Miss Ruth Peto was the Headmistress at Elton Hall School, near Peterborough and Hilda had gone to the school providing volunteer domestic help. By this time she was well over 60 years old. During the period 1938-1940 they were recorded on the electoral roll at 91-93 Dartmouth Road, Cricklewood, which appeared to be a multiple residence address until on 20 October 1940, aged 66, Hilda died whilst still working at Elton Hall School. 80 years-old. She died in Woodside Nursing Home, Blackberry Lane, Four Marks, Alton, Hampshire on 4 March 1975. When I started writing this story, I thought it was about the life of Theodora Louisa Duff Galton during her years in Box. But it became much wider than that, depicting society's views about relationships, formality and friendships. I found great sympathy with the innocence of the women involved and admiration for the manner in which they were coping, such as when Mary says of Miss Peto: They too have to give up their house, diminished income and later: Finished my foolscap (for her writing) alas can't afford more, too dear. The world had changed for ladies such as these during the First World War. John Howard Galton (b 1794 - died 28 April 1862) married Isabella (b 1798 - 6 June 1877) on 16 Dec 1819 at St Peter, Derby. In about 1827 they set about the renovation of Hadzor House, which they had bought from the Amphlett family in 1821 and commissioned the laying out of extensive gardens to match the grand seven-bay, three-storey property in which they lived in style. John was a Justice of the Peace and Deputy Lieutenant for Worcestershire. Although his parents and grandparents had been Quakers there is a suggestion that John may have converted to Roman Catholicism and he died whilst on a visit to Rome at the age of 67 on 28 April 1862. His eldest son Theodore and his wife certainly became Catholics in 1862 and later built a church in the grounds of the Hadzor Manor, dedicated to St Richard & St Hubert and opened by the Roman Catholic Bishop of Birmingham in 1878. Robert Cameron Galton of Harley Street, London. Captain Herman Ernest Galton (1826 - 31 May 1876), Army Captain married twice: 1. Mary Cameron Abercromby (1834 - buried 14 Sep 1871); and 2. Augusta Brenton Stewart [1835 - 1912]. Mary Cameron Abercromby (1834 - September 1871) was the daughter of Arthur Abercromby, Banffshire, and two-times great granddaughter of General James Abercromby (1706-1781), one time Commander in Chief of British Forces in North America. She was also a sister of Robert W Duff (1835-1895) MP, Gent, who chose to revert to his grandfather’s family name of Duff, which appears to come from the Duffs of Fetteresso in Kincardineshire. Besides being a member of the British Parliament, he was a member of the Privy Council, a Civil Lord of the Admiralty, and Governor of the Colony of New South Wales, dying in Australia whilst in office. By coincidence, or more probably design, Herman and Mary’s son Arthur Howard Galton, Robert Duff’s nephew, was Private Secretary to the Governor of New South Wales from 1893 -1898. Arthur Howard Galton (1852-1921) who was ordained a Roman Catholic priest, served as Private Secretary to the Governor of New South Wales (his uncle Robert W Duff), and after that, was admitted to the Church of England by the Bishop of Carlisle and served as parish clerk in Lincolnshire for nearly twenty years. He died unmarried. Ralph Abercromby Galton (1860-1911) left home age 11 as a pupil under the Rector of Hadzor at Oddingley, Worcestershire, two miles from Hadzor House. He lived in Ceylon (Sri Lanka) for several years, was married and started a family there, returning to England between 1899 and 1911. His Ceylon will described his address as Queensland Estate, Maskeylia, Ceylon, a tea plantation created in the 1880s. Isabella Geneva Galton (b 8 October 1862) was born in Geneva, Switzerland, as her name implies (although one document gives her name variously as Generiva and Ginevra). Her father had retired from the Northumberland Militia, aged 35, six months previously and the family may have been visiting relations at the Château de L'Imperatrice at Pregny, Switzerland, overlooking the shores of Lake Geneva. This estate had been purchased in 1816 from the Empress Josephine at the end of the Napoleonic Wars by John Lewis (formerly Jean-Louis) Molliett, a Swiss born Birmingham merchant and banker. The estate was inherited by his son James Molliett who had married Lucy Harriot Galton, a cousin of Isabella’s father, and the property was often used to entertain friends and family. Isabella lived with her step mother after her father's death in 1876 and was recorded in the 1881 census but her subsequent life and the date of her death is unknown. St John Corbet (1839-1907) on 1 June 1892 at St Marylebone, London. Her husband was 53 years old at their marriage, she was 28. After marriage they moved to Denbighshire. At the date of the meeting referred to in Mary Deane’s dairy Alice had recently returned from travelling, having entered a relationship with Francis Fox, the master of the P & O Ship Nubia, with whom she seems to have spent about a year travelling the world between 1913 and 1914. Alice and Francis were married in 1920 after the end of WW1 and lived in Wrotham, Kent, but in 1925 Francis died leaving Alice a widow for the second time. She survived until 1946, living at Ruffway, St Mary Platt, Kent, which turns out to be the same property as Platt Cottage, Wrotham, the address given by her half-sister Hilda when she returned to England in 1926. Theodora Louisa Duff Galton (29 Jan 1871 - 14 November 1920), buried in Box Cemetery. Augusta Brenton Stewart (8 Nov 1834 - 1912) was the second wife of Captain Herman Ernest Galton. They married in 1873 at Milverton, Warwickshire (part of the modern town of Royal Leamington Spa) about 18 months after the death of Mary but were only married for three years when Herman died. Augusta returned to her family area at Milverton for much of the rest of her life. She was the daughter of Captain Herman Ernest Galton and his second wife Augusta Brenton Stewart. She was born on 5 April 1874 and baptized at St Andrew, Clevedon, Somerset on 1 May 1874. Rev Arthur Howard Galton, also in 1925 and 1926 her mother’s unmarried sisters Katherine Isabella Brenton Stewart and Mary Louisa Brenton Stewart. In the years preceding her mother’s death it appears the she struck up a friendship with Ruth Peto, a teacher in a municipal secondary school who, at the 1911 census, although she was a single woman aged only 25 was living with two adopted teenage daughters in the Parade, Milverton, less than half a mile from the Galton’s. It seems likely that following her mother’s death, Hilda purchased the house, Kingsmoor in The Ley, Box village and, given Ruth Peto’s track record with orphans and reading between the lines of Mary Deane’s diary, probably ran the house jointly with Ruth as a small orphanage. The Wiltshire Times newspaper carried a notice placed by auctioneers Charles W Oatley advertising an auction sale to be held on 25th October 1922 at Kingsmooor of the remaining furniture and effects on the instructions of Miss Galton (who has gone abroad). This Italian adventure lasted about four years and in 1926 she was reunited with Ruth Peto and together they were in a party of eleven women and children returning to England from Marseilles, France. Their destination address was given as Platt Cottage, Wrotham, Kent, which was subsequently identified as the home of Hilda’s half-sister Alice. Hilda and Ruth Peto appears to have shared a home from then until Hilda’s death in 1940. Mary Deane's diary is still available to buy by contacting us. There's a lot of source material in the diary if you want to follow up aspects of your family in Box during the First World War period. A seventh child Herman Ernest Galton died at the age of 11 about two years before Louisa was born. 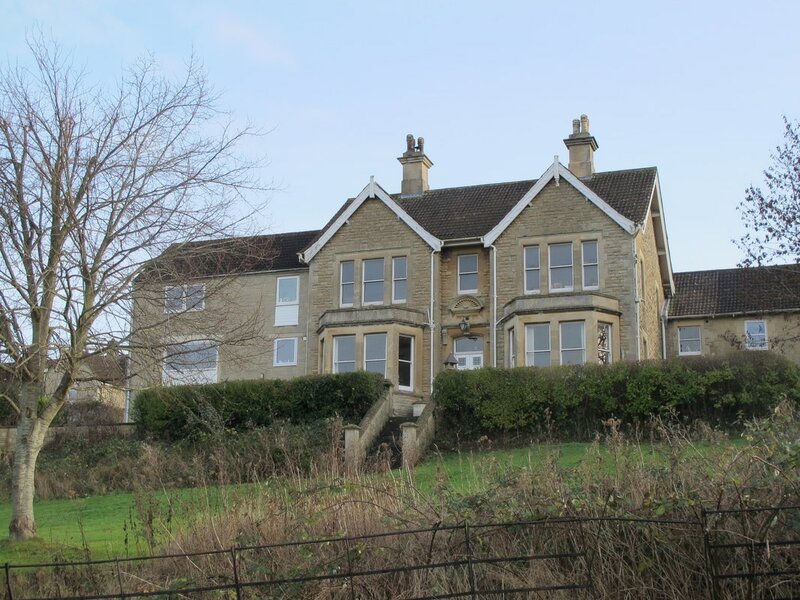 Bayshill Villas no longer exists, but Bayshill refers to an area immediately adjacent to Cheltenham Ladies College. Bayshill Villas Lane may mark the position of the villas, now replaced. The Galton family had various relatives there, including first cousins. The uniform of the Women's Land Army included trousers, which at the time many considered cross-dressing. The government responded with rhetoric that explicitly feminised the new roles. This article is indebted to resource material on the Galton website at http://www.galton.org. It is an amazing site and well worth a visit to pursue an interest in the Galton family and their history.